At least 12 miners were killed after an illegal gold mine collapsed in Indonesia's West Java province, police said on Wednesday.Lack of safety was cited as the reason for the accident on Tuesday in Bogor district, said provincial police chief Udjwala Prana Sigit. "They could have been dead, as the collapse stopped oxygen supply," he told Xinhua.Sigit said the miners were buried at a depth of 10 to 30 metres. 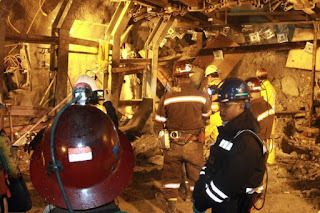 "There was a lack of standard safety measures," he said.The local administration closed the mine a month ago, but the miners re-opened it illegally, Sigit said.